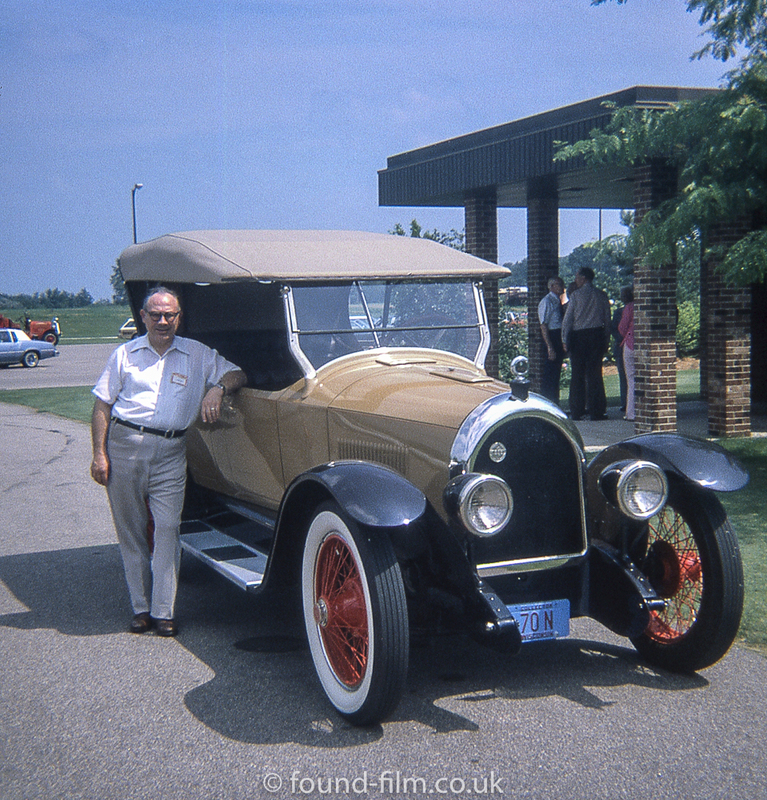 A man is standing proudly next to a vintage car with what appears to be an American number plate. A comment from Mike (see below) suggests this may be a Fiat model? It certainly seems to have what looks like the Fiat symbol on the top of the radiator, but my knowledge of cars is somewhat limited. I can see that it is a convertible, with what looks like a canvas, pull down hood and a front window that opens with a single wiper blade. I seem to remember reading somewhere (or possibly my father told me) that the wiper blades were manually operated by a knob inside the car! The small amount I can see of the cars in the distance suggest this was taking in the 1970s. Could be a Fiat in the US ?